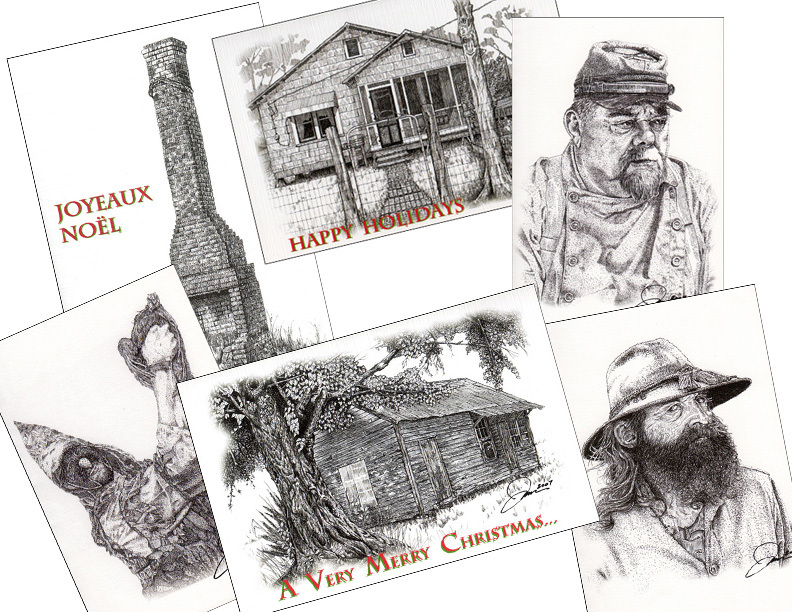 The majority of the pen and ink drawings in this collection are also available in greeting cards. The greeting/note cards measure 5 1/4 x 7 3/4 inches in size and are printed on high quality linen/vellum 80 lb card stock. A-8 envelopes are included as part of the order. A minimum order of 5 (five) cards per order, please. You can click on any link above to view the image that is displayed on the greeting/note cards. The above images illustrates some of the cards. If interested in purchasing, drop me a line and you can mix/match any combination you wish. The price does not include shipping. I can get that information to you at the time of your order. Keep checking back in the future for I will be adding additional card series from time to time.